Back when I started this blog a had a regular occurring post spotlighting my somewhat compulsive online shopping addiction and sharing what I was lusting / coveting over for that week. I had a lovely reader email me a few weeks back and asked about it’s unfortunate disappearance so I’ve decided to reintroduce and post what I’m obsessing over and how I would style it. Alexis Bittar is one of my favourite jewellery designers mainly for it’s edgily striking uniqueness in each and every design. 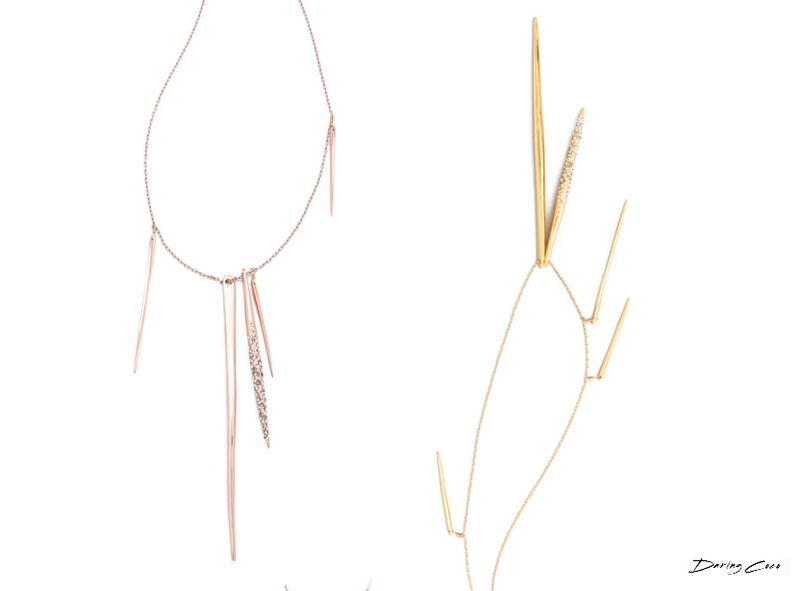 These crystal spear necklaces are not for those faint of heart and I suppose the only reason they’re not on my body right now is because I’ve been torn against two metals. Rose gold or gold? A tough decision indeed. So help a gal out and let me know which would you do? Shop rose gold here.